Chief Minister Amarinder Singh slams the pro-Khalistan rally held in London. 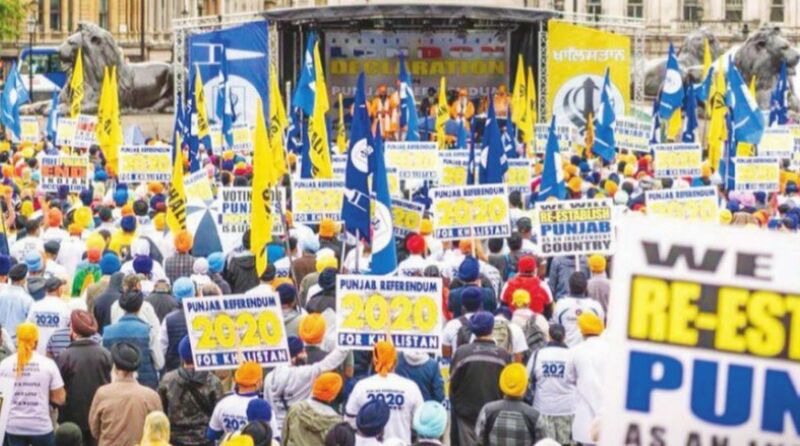 The US-based pro-Khalistan group, Sikhs for Justice (SFJ)’s plan to issue a “London Declaration” for a “referendum” on Punjab’s “independence” at Trafalgar Square on 12 August failed to garner support with only about 2500 radicals participating in the protest. And from the reactions of the political parties in Punjab, it is clear there is no popular support for Khalistan in the agrarian state. Punjab Chief Minister Amarinder Singh said the noshow at the pro-Khalistan event and SFJ’s failure to draw anti-India support at Trafalgar Square in London has exposed the total lack of ground support for the pro- Khalistan campaign even outside India. The CM said the entire affair was a futile exercise by a sham organisation, SFJ, to create trouble in India, particularly Punjab. The SJF are just a group of fringe elements that are playing into the hands of Pakistan’s Inter-Services Intelligence (ISI) to divide India, but they have failed, and will continue to fail in their nefarious designs, said Amarinder. The CM said the presence of Pakistani politicians at the rally confirms that it was out and out an ISI plot, which fell through, just as their attempts to create trouble in India have been failing all these years. Reacting to the UK rally, Amarinder said that, as expected, it turned out to be a damp squib, participated in by a handful of elements. He, however, felt the UK government should have put its foot down and not allowed its soil to be used to propagate anti-India campaign. Further castigating the UK government, Amarinder said by allowing the protesters to use Trafalgar Square, instead of Hyde Park, that’s generally used for such purposes, it had shown its total complacency on the issue. The entire referendum business is nothing but a money making racket of SFJ, with no takers for the socalled campaign either in India, or even outside, as is evident from the poor show at the rally, he added. There was virtually nil local support for the rally and whatever little support they had managed to garner was of similar fringe elements from various countries, said the CM. The presence of Pakistani leaders, including Nazir Ahmed who openly spoke of dividing India and splitting Kashmir, Punjab and Nagaland from it, made it clear that the rally was a game plan of the ISI – a fact further endorsed by the presence of separatist Kashmiris living in UK, said the CM. Some of these Kashmiris were forced to wear turbans to make them look like Sikhs, said the CM, citing ground reports. And the handful of Sikhs around had evidently been forced to come, he added. Describing the SFJ fringe elements as mere social media tigers, who are trying to create a hype even when they have no support, both in India and abroad, the CM said the Sikhs were a patriotic community who have always stood for the unity and integrity of the country. As many as 90,000 Sikhs are serving in the Indian army, defending the country’s borders, he pointed out, adding that SFJ could never succeed in misleading the community into falling for their selfish designs. The CM warned the SFJ and all other such anti-India forces to stay out of the country and refrain from any attempt to foment trouble in Punjab, or any other part of India. Their efforts will backfire on them, he said, adding that his government would deal with such elements with an iron hand. Nobody would be allowed to disturb the peace and the communal harmony in the state, Amarinder declared. 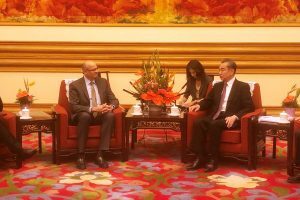 He also exhorted NRI youths from England, who were in Chandigarh on a visit under the ‘Connect with Your Roots’ (CYR) programme, to dispel any misconceptions about the state in the minds of the Punjabi diaspora back home. The CM urged the youngsters to convey to the diaspora that the people in Punjab are living in a peaceful atmosphere, contrary to what is being projected by some mischievous elements. “They can now judge the difference between the perception created by some anti-Punjab elements settled abroad, including Sikh for Justice leaders, who were bent on tarnishing the image of Punjab and Punjabis (and) to promote secessionism amongst the peace-loving Punjabis in a bid to destroy the state’s hardearned peace and communal harmony,” Amarinder said. Cutting across party lines, leaders of other political parties also termed the London convention of ‘Referendum 2020’ as a futile exercise. Shiromani Akali Dal (SAD) president Sukhbir Singh Badal said the attempt to divide India will never be successful. It’s a futile exercise as the people living in foreign countries will never come back to Punjab. “The low turnout at London’s Trafalgar Square speaks volumes about the failure of the rally. Those behind the referendum are citizens of other countries and their children don’t acknowledge that they belong to Punjab. They have no right to speak about Punjab,” he added. Punjab-based pro-Khalistan outfits, Dal Khalsa and Shiromani Akali Dal (Amritsar) also raised questions on the practicality of the referendum.